The Department of Electrical Engineering was established in 1921. It is one of the few oldest Departments in the country which offers B.E course in Electrical Engineering. The department has grown in a big way gradually over the years with the dedicated work and broad vision of the staff members. The department consists of well qualified and experienced staff who have published research papers in national and international journals. Research scholars from CPRI, NAL, ISRO and teachers from other Engineering colleges have registered for Ph.D degree under the guidance of the faculty members of the department. The department of Electrical Engineering is offering the courses in Power and Energy Systems, Power Electronics for UG courses. The Department has excellent interaction with industry and Research laboratories. It has necessary infrastructure such as Electrical Machines laboratories (AC&DC Machines labs), Electrical Circuits & Measurements lab, Power Electronics lab, Microprocessor lab. Computer simulation lab. The Department has procured sophisticated equipments like Lab volt (Power Electronic converter modulus), Relay test bench, DSP based DC and AC drives, Transmission line model, Var Compensator model , Generator Protection model etc. The Software packages like MiPower, P-spice, P-sim, and Mat lab are also provided. Later on in 1968 the Department started B.E in Electronics course and in 1982 it started B.E in Computer Science & Engineering. 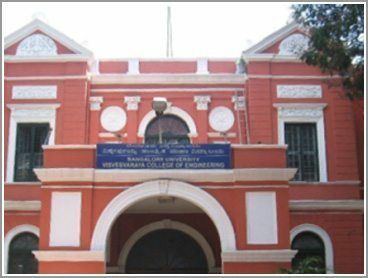 In 1994 the Department of Electrical Engineering was bifurcated into the Department of Electrical Engineering and the Department of Electronics and Computer Science & Engg.,. The Syllabus for UG & PG courses will be revised once in every four years. The revision of Syllabus is to keep in pace with the present day Industry requirement. The Department staff members have published / presented nearly 30 Research papers in various International Journals and International / National conferences in the last three years and awards.